No car is undestroyable. This fact also applies to Tesla Motors, who might build cars that are almost undestroyable. When they tested the Model S in a crash-test, the crash-test machine was destroyed before the car. But you can't beat physics, so a car from Tesla Motors will be destroyed if you are driving it into a concrete wall. 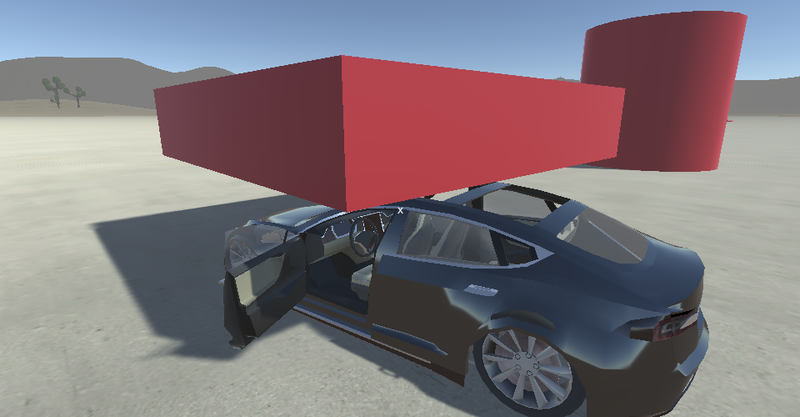 Because I'm building a Tesla Motors Simulator, I had to add destruction to the simulator. 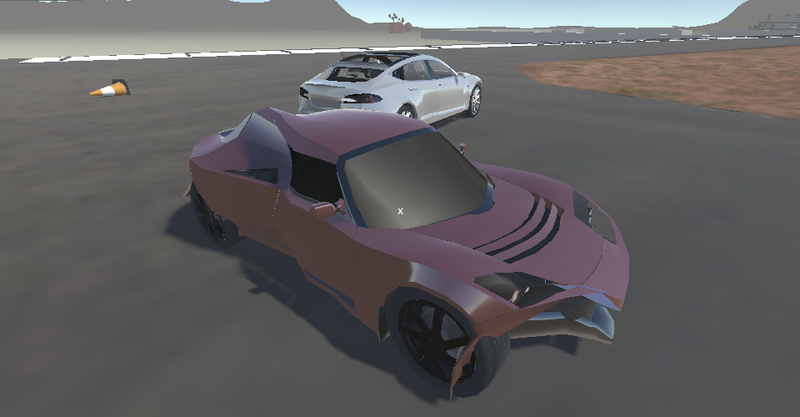 I've earlier tried to use the real physics equations, such as drag force and rolling resistance, in the simulator, but there are no physics equations for destruction. At least not any simple equations that I'm aware of. So I had to cheat this time. 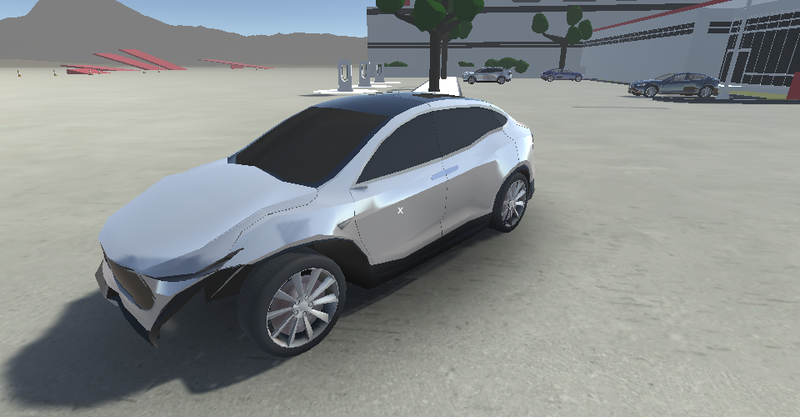 In fact, you can use more complicated equations to crash-test a car in a computer, and then you just crash-test it live to verify the results. 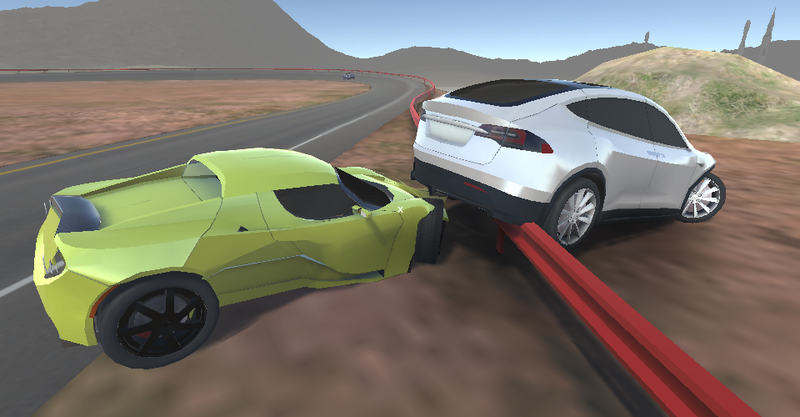 When Tesla Motors did this and then they crash-tested a real car, they found a crack in the real car that they hadn't seen in the computer simulation. So they went back to the computer and found the crack in the simulated version - they hadn't just seen it! But back to my simplified simulator. The wheels are currently unbreakable, but I will probably change that in the future. But the glass is breakable, and so are the headlight-covers. Sometimes the destructions is not 100 percent realistic because the cars are using box colliders for simplifications. I will probably try to add a simplified mesh collider and see if the results are more realistic. The transmission is also not destroyable, so no matter how many times you slam into a wall you will be able to continue driving, but I will probably change that in the future.